UPDATED: Tue., Aug. 7, 2018, 9:15 p.m.
WESTERVILLE, Ohio – A special congressional election that tested President Donald Trump’s clout and cost both parties millions of dollars in battleground Ohio was too close to call early Wednesday. Trump claimed victory nevertheless. The candidates were locked in a razor-thin race, which they will reprise in the general election in just three months. There were at least 3,367 provisional ballots left to be reviewed. That’s enough for O’Connor to potentially pick up enough to force a recount. The Republican president’s shadow also loomed over primary contests in four other states, none bigger than Kansas, where Trump roiled the governor’s race by opposing the GOP incumbent on the eve of the election. The day’s races, like dozens before them, pitted Trump’s fiery supporters against the Democratic Party’s anti-Trump resistance. The results are helping determine the political landscape – and Trump’s standing within his own party – just before the GOP defends its House and Senate majorities in November. 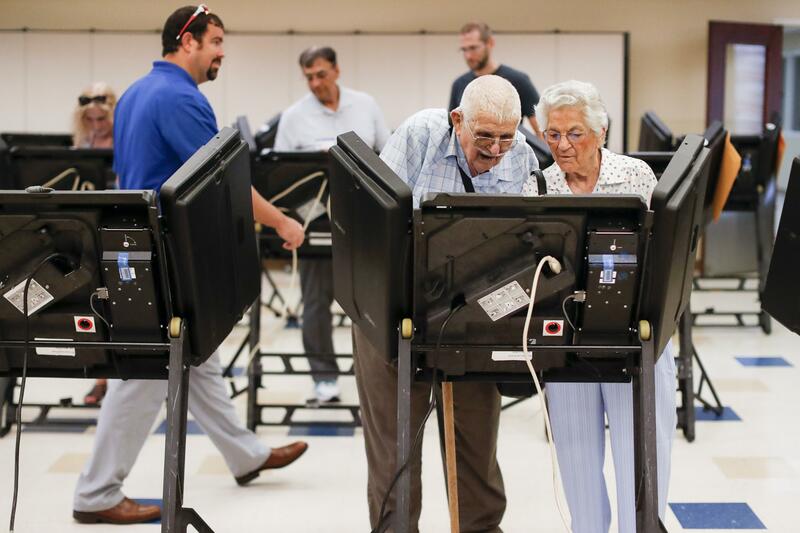 Voters in Kansas, Missouri, Michigan and Washington state joined those in Ohio in Tuesday’s voting. Should the polarizing Kobach win the primary, some Republican operatives fear he could lose the governor’s seat to Democrats this fall. The race could become further disrupted if Kansas City-area businessman Greg Orman makes it onto the November ballot. He submitted petitions Monday with more than 10,000 signatures for what could become the most serious independent run for Kansas governor in decades. There are 79 House races this fall considered more competitive than the Ohio district – at least looking at Trump’s 2016 performance – according to data compiled by the Democrats’ national campaign committee. O’Connor’s total of nearly 100,000 votes far exceeded what the district’s former Republican congressman Pat Tiberi’s Democratic opponent got in 2014. Balderson’s total – just more than 101,500 votes – is barely two-thirds of Tiberi’s 2014 mark of about 150,000. “Over the next three months, I’m going to do everything I can to keep America great again, so that when we come back here in November – get ready, we gotta come back here in November – I have earned your vote for a second time,” Balderson told supporters. In Michigan, three mainstream Democrats in suburban Detroit were among those vying for a chance at retiring Republican Rep. Dave Trott’s seat in November. The field included Fayrouz Saad, who would be the first Muslim woman in Congress. Published: Aug. 7, 2018, 7:12 p.m. Updated: Aug. 7, 2018, 9:15 p.m.